CSA Ocean Sciences Inc. (CSA), under contract to Ecological Associates, Inc., was contracted by the Coastal Engineering Department of Martin County, Florida to technically review, update, and enhance the Martin County Artificial Reef Management Plan. CSA completed a focused literature search and assimilation of available and relevant literature for the southeast U.S. and the Gulf of Mexico and utilized the information to enhance the management of artificial reefs in Martin County. 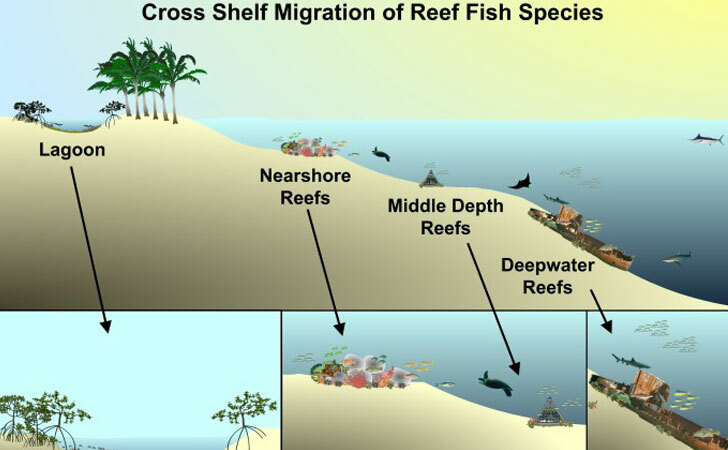 The literature search focused on artificial reef ecology, socioeconomics, and reef fisheries management. A new component to the management plan involved the addition of information pertaining to the Martin County River Reefs Initiative. CSA coordinated with Federal and State agencies to determine if any new initiatives by these agencies were applicable to the Program. Relevant comments from the agencies were incorporated into separate components of the Martin County Artificial Reef Management Plan. One important management plan update involved developing current geo-referenced maps to support data presentation. Figures created with ArcGIS® geographic information system depicted reef sites identified as natural hard bottom habitats, artificial reef sites, and navigational benchmarks. CSA also provided assimilated faunal data from the County artificial reef monitoring efforts and data covering natural habitats within Martin County. As part of the artificial reef management, CSA also coordinated and prepared an artificial reef permit for a reef site located seaward of the St. Lucie power plant on Hutchinson Island in 300 to 400 ft of water. CSA prepared and submitted an individual permit application to the U.S. Army Corps of Engineers. As part of the effort, CSA coordinated with State and local resource agencies (Environmental Protection Agency, Florida Department of Environmental Protection, Minerals Management Service, National Oceanic and Atmospheric Administration, and U.S. Fish & Wildlife Service). CSA prepared an environmental assessment that involved documenting any sensitive biological, geological, or archeological resources near the candidate reef site. CSA then utilized this information to place the artificial reef site in an area that would not impact any sensitive resources. The reef site size and configuration were determined after deepwater resources were assessed and agency consultations were complete.